Designed to hold 1/2" candles, these petite candlesticks are individually handcrafted of the finest lead-free pewter. Made in Vermont. 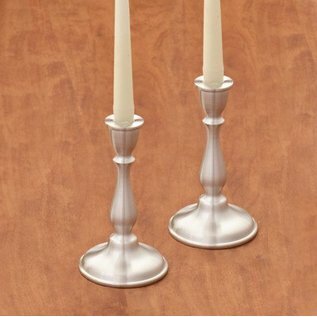 Designed to hold 1/2" candles, these petite candlesticks are individually handcrafted of the finest lead-free pewter, signed, and bear the Danforth lion touchmark of our Middlebury, Vermont workshop. 4 5/8" high. Candlesticks are sold individually.